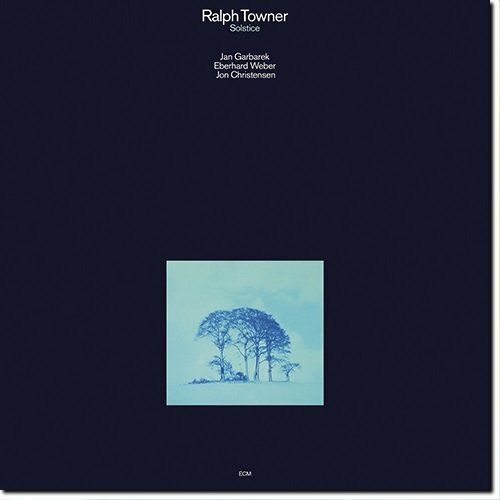 Considered one of Ralph Towner's greatest albums, this 1975 release features the guitarist leading a quartet consisting of Jan Garbarek on saxophones and flute, Eberhard Weber on bass and cello and drummer Jon Christensen. Towner composed all the songs except for one contribution from Weber. When Ralph Towner burst onto the contemporary jazz scene in the mid-70s, listeners were well aware of his awesome talent as a member of Oregon. But when Solstice was issued on the ECM label, it took the brilliant guitarist's cach? to a much higher level, especially as a composer. With the otherworldly curved soprano sax and flute playing of Jan Garbarek, the precise drumming of Jon Christensen, and unique bass sounds of Eberhard Weber, the music on this album lifted the ECM/Euro-styled jazz and improvised music to a new realm of pure expressionism. Simply put – this music is stunningly beautiful. The incredible "Oceanus" begins with Towner's cascading guitar, followed by the swelling and symphonic bass of Weber, a swinging drum line by Christensen with Garbarek's atmospheric and dramatic curved soprano layering contrasting timbres, symmetry, and unusual colors. "Nimbus" opens with some astounding technical harmonics from Towner, more so considering the acoustic nature of his instrument. A circular theme in implied 3/4 underneath 4/4 leads to overdubbed flutes from Garbarek, bowed bass, the curved soprano in 6/8 all identifying the pure ECM sound. "Piscean Dance" is a funky workout between Towner and Christensen, the earthiest track on the date, and an exercise of intuitive confluence. Other portions of the disc are space oriented like the loose, free and haunting "Red & Black," "Visitation" with multiple percussion sounds of flexatone and shakers under Weber's bowed bass and Garbarek's alien dragonfly flute, while Weber's "Sand" has the musicians staring at the Crab Nebula while firmly rooted in a strut later in the piece. 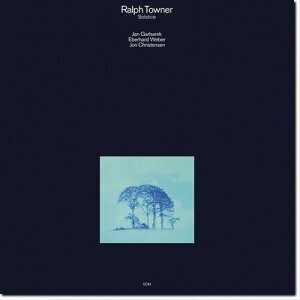 Towner's wondrous piano is heard on "Drifting Petals," a pretty and pensive waltz with unison lines alongside Garbarek's flute, then Towner switches to guitar in a deeper discourse with the quartet. As cold as the Norwegian studio (Oslo) they were recording in, "Winter Solstice" is not so much profound as it is telepathic, as the players use stop-start techniques, again inserting a 3/4 rhythm into a 4/4 equation. Of the many excellent recordings he has offered, Solstice is Towner's crowning achievement as a leader fronting this definitive grouping of ECM stablemates who absolutely define the label's sound for the time frame, and for all time. Rec. : Arne Bendiksen Studio, Oslo, Norway, December 1974.